We are an initiative inspired by the Sustainable Development Goals to back the best efforts of governments and civil society to support economic development according to principles of sustainability, equity and diversity. We work with partners to enhance existing initiatives that will have the most impact in support of these goals. We aim for prosperous, sustainable economies that work for people and protect our environment. The SED Fund operates a two-tier governance structure with a Supervisory Board and an Executive Board. Supervisory Board members are Gemma O'Reilly, Martin Drewry and Dr. Christopher Harris. Supervisory Board member biographies are available here. The Executive Board, comprised of the Executive Director and Director of Operations and Partnerships is charged with the efficient, general management of the SED Fund. Vikas Mehta is a founding Executive Board member of the SED Fund. As Executive Director, Vikas manages new portfolio and capacity development, and global strategic initiatives for the SED fund. Previously, Vikas spent 17 years in impact investment and programme management with international nonprofits in Asia and Africa, working across clean energy, agriculture, microfinance and ICT initiatives. 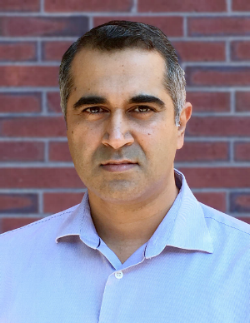 He holds a Master’s degree in International Business from the Fletcher School at Tufts University, and a Bachelor’s degree in Commerce from Delhi University, India. Lorraine Breen is a founding Executive Board member of the SED Fund. As Director of Operations and Partnerships, Lorraine provides the leadership and management necessary to ensure optimal delivery of our team, systems, processes, and partnerships to meet our goals. Lorraine has over ten years experience in the philanthropy field, both in the UK and the Netherlands. Most recently she was responsible for setting up and managing a platform for portfolio partners to scale up their programmes for maximum impact. Formerly she was a Consultant on impact assessment focusing on early childhood development. Lorraine has also worked across multiple policy areas through government policy and analyst positions in the UK, NSW and at EU level and roles in various nonprofits. She has a first class honours Masters in Cultural Policy and Management and a BA in English Literature and the History of Art, both from University College Dublin. We are here to leverage existing initiatives. To read the Stichting SED Fund Policy Overview, click here. Our apologies, we are unable to respond to or consider unsolicited proposals.